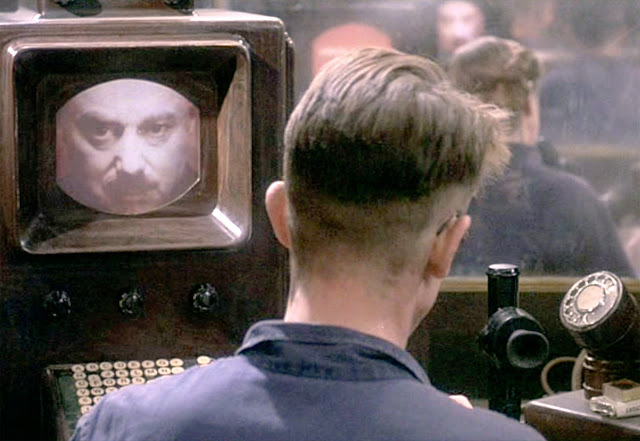 Dystopian futures have always imagined governments oppressing us with surveillance. Under the all-seeing, all-hearing eyes and ears of Big Brother, free will is curtailed and only “approved” behavior is allowed. Edward Snowden revealed this was no conspiracy theory, and we wouldn’t have to wait for the future. We’re already being watched, our liberty sacrificed for security. Cameras and recording devices have progressively gotten smaller and cheaper, so it was logical to assume we might all own them one day. It was social media and its ability to tie those devices together that came as a surprise. Suddenly, cameras in the hands of citizens became weapons of justice. They level the playing field between the populace and the powers that be, as long as we turn them on. Credit: © 1984 Virgin Films / Courtesy: Pyxurz. Some call it “Sousveillance” from the French words for “below” and “to watch”. Cory Doctorow wrote a novel about how the Little Brother ideal could play out in the future. But we need to be executing the practices to keep authorities in check today. The confusion surrounding the sorrowful death of Michael Brown could have been resolved by Little Brother. There was unfortunately no clear video recording of the interaction between Brown and the police officer Darren Wilson who shot and killed him. The Grand Jury instead saw other evidence, more than what was revealed to the public, and decided not to indict him and send the case to trial. After too many heartbreaking stories of white cops killing unarmed black man in the United States, the fact that Wilson won’t undergo a trial has caused understandable outrage. There’s no doubt police officers have a tough job where they must make split-second decisions about how to defend themselves. Deadly force is sometimes required. But it’s reasonable to assume that it’s occasionally used inappropriately, fueled by anger or racism. Yet over a seven-year period in the US ending in 2011, there were a reported 2,718 “justified homicides” by law enforcement, while only 41 officers were charged with murder or manslaughter for on-duty killings. That’s just 1.5% of the time. In many of those cases, conclusions are drawn based on incomplete or conflicting witness testimonies, and the word of the officer. Any loss of life is tragic, regardless of who is to blame. But for everyone in this country to feel safe, especially minorities subject to racism and other disadvantages, justice must be served. Recordings by Little Brother could deliver the facts needed to deliver that justice. There are now apps like the ACLU’s Stop & Frisk Watch designed specifically for monitoring police encounters with civilians. The app can record video and send it to the ACLU, or alert users when someone nearby has activated the app so they can come get another camera angle of the situation. Beyond sorting out the circumstances of sad cases like Brown’s after the fact, citizen surveillance of authority could deter wrong-doing. We wish each person’s moral compass could properly guide them, but cameras offer an additional safeguard. Knowing their exact actions could be held up to scrutiny, authorities are pressed to go by the book. If they’re in the right, recordings would vindicate them. With time, as portable, high-quality cameras become more affordable and portable, more contentious interactions between citizens and law enforcement will be caught on film. The cameras will never be on in all the right places and all the right times, though. That’s why many, including Brown’s family, are pushing for police officers to have recording devices affixed to their uniforms. “ Join with us in our campaign to ensure that every police officer working the streets in this country wears a body camera”, the Brown family said in a statement. Recordings from dashboard cameras in police vehicles are already used to this effect. Not only could they resolve disputes about sequences of events, they could make policing safer for everyone. A small pilot program where officers wore body cameras in Rialto, California saw complaints against officers fall 88%, and their use of force decrease nearly 60%. Suspects and witnesses behaved more politely when they knew they were being filmed, and you’d expect assaults against officers would decrease if perpetrators feared they’d be caught on camera. This is Foucault’s panopticon put to good use. 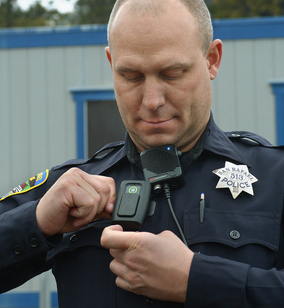 Still, police may resist the body cameras for fear that permanent recordings of smaller mistakes could get them fired. They’d have to change the way they work, and departments might be stubborn about working the cameras into tight budgets. That’s why we all need to play the role of Little Brother when necessary. A bystander’s cell phone video could bring justice to victims of discrimination and mistreatment, or exonerate the unfairly accused. It’s important to know your rights around filming police or other authorities. The ACLU holds that you are permitted to film in public spaces where you’re legally present, and may film officers as long as you are not interfering with law enforcement operations. Police are not allowed to confiscate, view, or delete your photos or videos without a warrant. However, there is a prevalent trend of officers harassing, detaining, and arresting citizens who legally film them, and any interaction with police is potentially dangerous, so be careful. 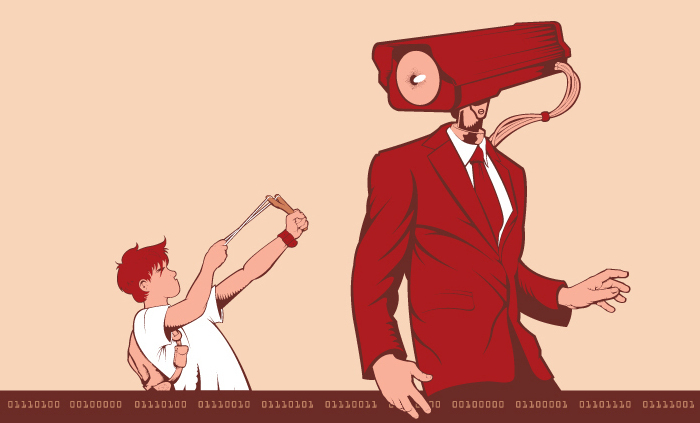 Fighting cameras with cameras may further obliterate our privacy. We’ve been steadily sliding in that direction for years. But if we’re losing it anyway, we can at least take control of the shutter button so we’re trading privacy for truth.